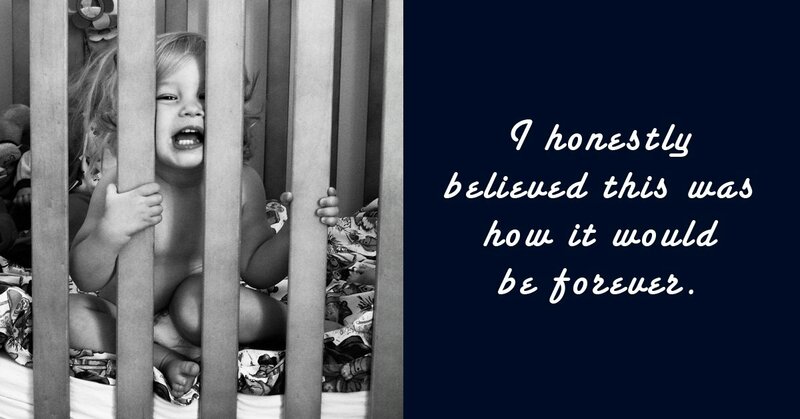 Before I had a baby, I assumed caring for a newborn would be easy. I had read all the books and subscribed to the parenting websites. I was an organized person and coped well under pressure. My husband and I were happily married and we had just moved into our first family home. I had decided I would return to work after six months on maternity leave. I had it all figured out. I thought I knew exactly what to expect when I was expecting. I thought I was prepared. Then I gave birth and nothing was anything like I had expected. It is inevitable you will go a little mad when you have your first baby. From the moment your little one arrives your whole world is turned upside-down. You are tired, physically uncomfortable and trying to keep a tiny human intact on barely any sleep. However, if you continue to feel low, hopeless, or anxious then you might want to talk to your doctor. 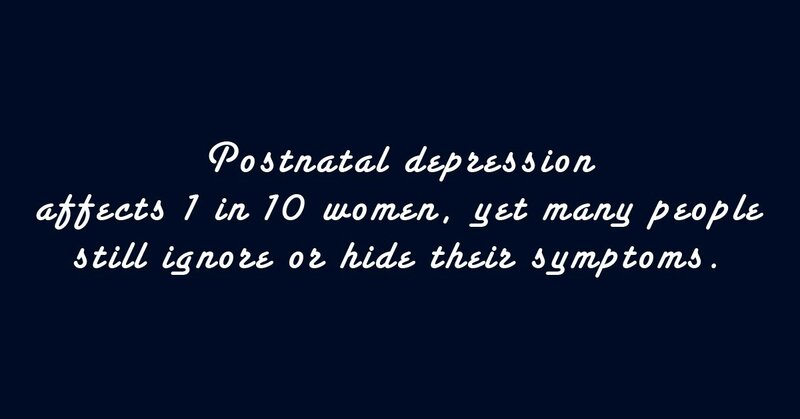 Postnatal depression (PND) affects one in ten women, yet many people still ignore or hide their symptoms, afraid that they will be perceived as bad mothers or weak people. I am not a bad mother or a weak person, I just got sick. It was not my fault. It sometimes just happens. It had been two weeks since the birth of my baby and I was sitting in my pajamas, surrounded by vomit. And not just the baby variety. I had thrown up while trying to force myself to eat something, and the baby had thrown up all over me. This is definitely not how I pictured motherhood. I knew I would be tired, but I did not expect severe insomnia, anxiety, and a complete loss of appetite. It was all terribly inconvenient as I had a brand new baby to take care of. My family was convinced I simply needed a good night’s sleep, friends thought I had the baby blues, but I knew the truth. 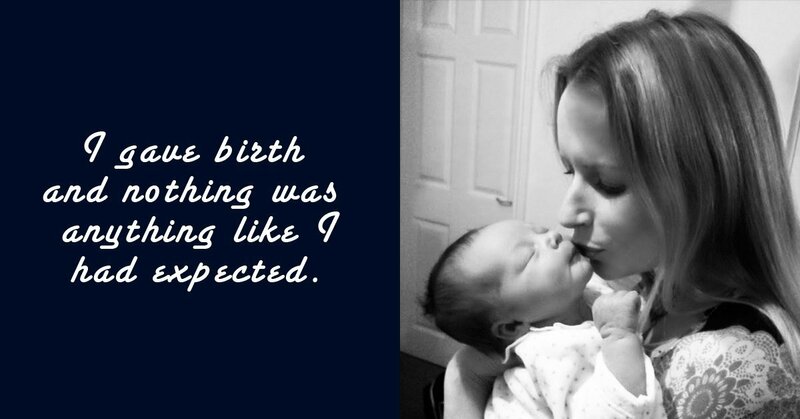 When the midwife handed me my baby daughter for the first time, I wasn’t filled with happiness. I was filled with sheer panic. I was struck with the overwhelming feeling that I was NOT going to be able to look after her. Time passed in a blur of milk, nappies, and tears. I could not think clearly and I was having regular panic attacks. Then, after I had been awake for ten days things went from bad to worse. I began to hallucinate. On several occasions I looked up at my husband and saw my baby’s face where his should be and I would often look down to see my daughter actually attached to my chest — like we had been welded into one being. It sounds almost comical now but at the time it was terrifying. I felt out of control and I was petrified that I was going mad. Two weeks later, I was still crying and I still couldn’t sleep. My husband was at a loss as what to do. His paternity leave was up and he was also struggling with new parenthood and exhaustion. “It is not normal for a grown woman to cry this much!” he yelled in the heat of the moment during one long and stressful night. Is this normal? I asked myself. I am not normal. I am a terrible mother. Some people would give anything to have a healthy baby, yet I am acting like it is the end of the world. 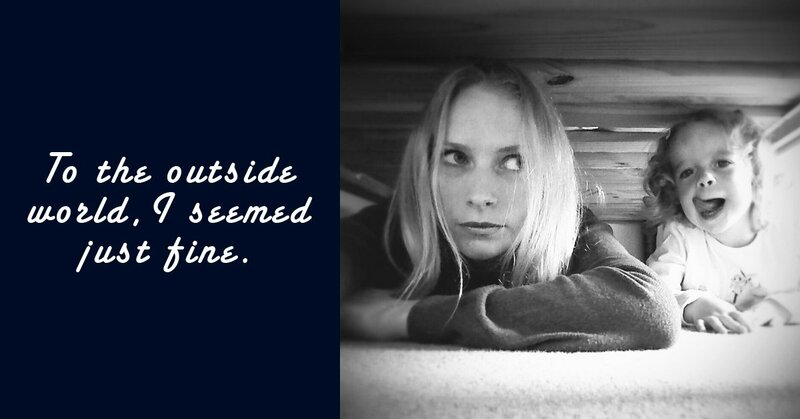 I felt anxious about everything and the thought of leaving the house filled me with fear. What if someone tries to hurt my baby? Snatches her from the pram. What if I can’t stop them? What if I pass out and my baby is left alone? What if I lose my mind and leave the pram somewhere? I didn’t want anyone to see that I was this horrible, ungrateful mother so I avoided people and didn’t talk to anyone unless I had to. Any noise seemed to be magnified tenfold — the baby crying, people talking, or the cot mobile. Any sound above a whisper would bring on a panic attack. I was constantly in a fuzzy-headed dreamlike state, as if I wasn’t really there. I felt like an alien roaming a world in which I did not belong. It was as if I was disconnected from everyone and everything around me, including my baby and husband. Everyone hates me and I don’t blame them, I told myself. I have ruined this magical time for everyone. “Is this normal?” I asked the health visitor. She told me there was a very good chance I had postnatal depression and advised me to go and see my general practitioner. I did not believe I had PND. My perception of the illness was largely based on the news stories I had read about mothers harming themselves or their children and TV dramas that showed women with PND who felt no love for their offspring. “You have postnatal depression,” the doctor later explained. She wanted to give me anti-depressants. I asked for sleeping pills, convinced that sleep would make everything ok. It didn’t. So I eventually went back to the general practitioner. I was referred to a cognitive behavior therapist and given medication. 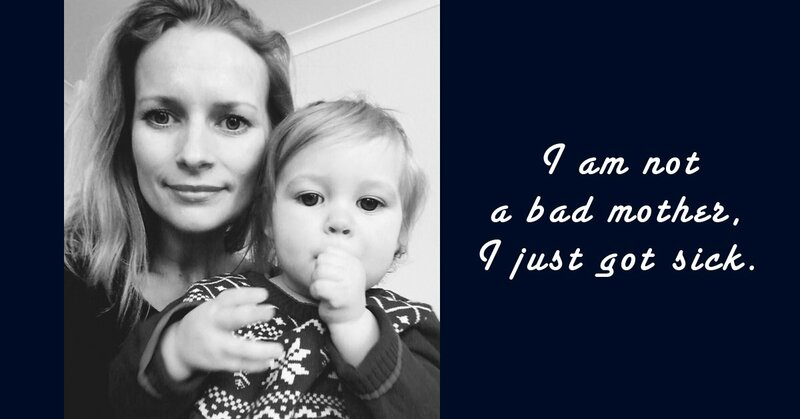 However, my clouded mind was telling me I did not need medication, that I was simply rubbish at being a mother and no amount of pills could cure that. I was also worried about the drugs being passed into my breastmilk (despite being assured that this was safe) so after a week I stopped taking them. Besides, if I was actually, clinically depressed; I wouldn’t be able to get out of bed, right? The next day, I couldn’t get out of bed. I wasn’t eating and had lost a lot of weight. I was still unable to sleep and still having panic attacks. I even became too afraid to walk down the stairs with the baby in case I fell or dropped her. So in the end, I felt the best thing to do was stay in bed. I had everything I needed to look after a baby. Nappies and breasts. Sorted. As I lay there and listened to my baby cry for yet another feed I remember thinking that my life was over. I honestly believed that this was how things would be forever. That night my husband came home to find the baby and I in floods of tears. I told him I couldn’t cope. He said he couldn’t cope. We called my parents. It was decided that we would all go and stay with them and they would help take care of the baby — and me. Back in the bedroom I used to call my own fifteen years earlier, I felt like a child again. While I was comforted by the familiarity of my childhood home and grateful for the support of my family, I was so ashamed. I had a baby of my own, yet here I was being looked after by my mother. Despite all this, I refused to believe I was ill. I was simply a rubbish mother and a weak, pathetic person who was not up to this job. I hated being a burden to everyone. I saw the way my family looked at me with what I imagined was disappointment. 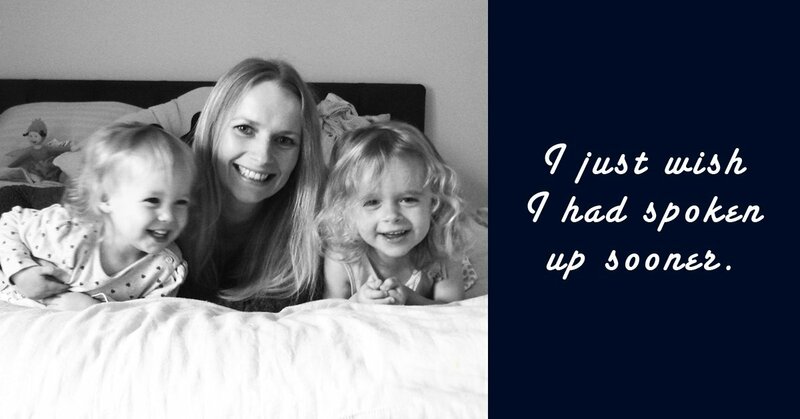 I wanted them to think I was happy and confident, and enjoying being a mum. So I had a brilliant idea. I would simply pretend to be ok. I would speak to no one about my dark feelings and worries. Although, I realized this would probably have to mean getting out of bed. From that day on I was determined to try to get back some physical strength. I was advised by my health visitor to give up breastfeeding. So I did — against my instincts. My daughter had taken to it straight away and I felt it was the one thing I hadn’t failed at. I was still barely sleeping. I had terrible insomnia and my daughter would wake up every hour. My nights were filled with silent tears and quiet despair. But as soon as I was physically capable of looking after my baby alone, I went home to put my plan into action. To the outside world, I seemed just fine. I got dressed, wore make-up and smiled, but inside I felt nothing but pain. My secret pain. I fed, changed, and held my daughter, but I was doing it all under a black cloud. I didn’t know who I was anymore. I truly believed I was getting it all wrong; that I was a failure. I loved her, but I felt no joy in being a mother — just guilt, fear, and self-hatred. My child deserved better than me. But the thing I discovered about secret pain? The longer you keep it a secret, the more it hurts. Eventually, tired and broken, I went to the therapist and admitted the truth about how I was feeling. She made me understand that I was very ill and she began to treat me for postnatal Depression. 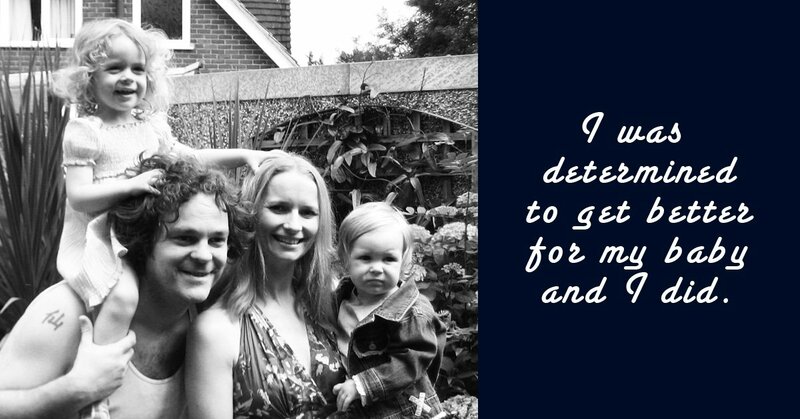 I had also been referred to my local postnatal Illness help group (Home-Start Mothers In Mind MIMS) but even though I had accepted I was unwell, I told myself I wasn’t unwell enough to go along. I pictured a room full of sobbing mothers, some suicidal, some unable to pick up their screaming babies. I imagined a place full of despair and pain. My pain was not visible. I would feel like a fraud who didn’t belong. But where did I belong? I had tried the regular baby groups but could not connect with the other mums. So I gave up and spent a lot of time alone. Fortunately, Home-Start did not give up and stayed in touch until they persuaded me to go along to the PND group. And I am so glad I did. It was nothing like I had expected. Everyone looked so NORMAL. This group was extraordinary. The women I met there were awesome and honest about how they were feeling. While there were some tears, there was also hope, inspiration, and humor. For the first time since becoming a mother I did not feel alone. As I continued with therapy and the support group, I finally understood that none of this was my fault and I wasn’t a weak person. As my mind grew clearer, I realized that the simple fact that I was able to take care of a baby in spite of being ill, made me a strong person and, as my daughter was happy and healthy, I must be a good mother. Then, slowly but surely, the cloud began to lift. I continued with the cognitive behavior therapy, received support from my family and the PND group, and eventually my symptoms improved. It was a long and difficult process, but it worked. I was determined to get better for my baby and I did. I just wish I had spoken up sooner and not lost the first year of my first-born’s life to an illness. Despite being prepared for it, I did NOT get PND after giving birth to my second child. In fact, I was happier than ever because I got to enjoy having a newborn for the first time. I even started volunteering for Home-Start myself! I am rubbish at getting anywhere on time. I am rubbish at arts and crafts. I am rubbish at keeping my house tidy and making homemade baby food, but I now know that none of that matters. I just have to look at my smiling, happy children to know that I am definitely not rubbish at babies. Visit Emily-Jane Clark’s website, stolensleep.com, to see more of her writing.